Grandpa Arled loves to play games with Dexter! 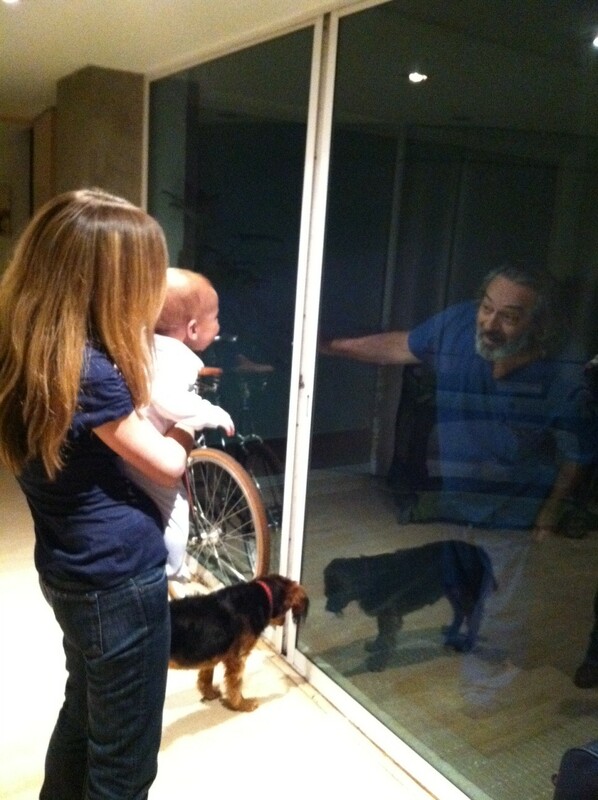 Dexter thought it was hilarious to see Grandpa standing on the other side of the glass door AND see his own reflection at the same time. I think the real question is – Who is more easily amused: Dexter or Grandpa? What great depth perception. Here’s my observation — Dexter, at 5 months, is a genius.